As the last ice age ended, the earth’s climate began to warm up, glaciers and ice sheets started to melt, and sea levels rose globally. 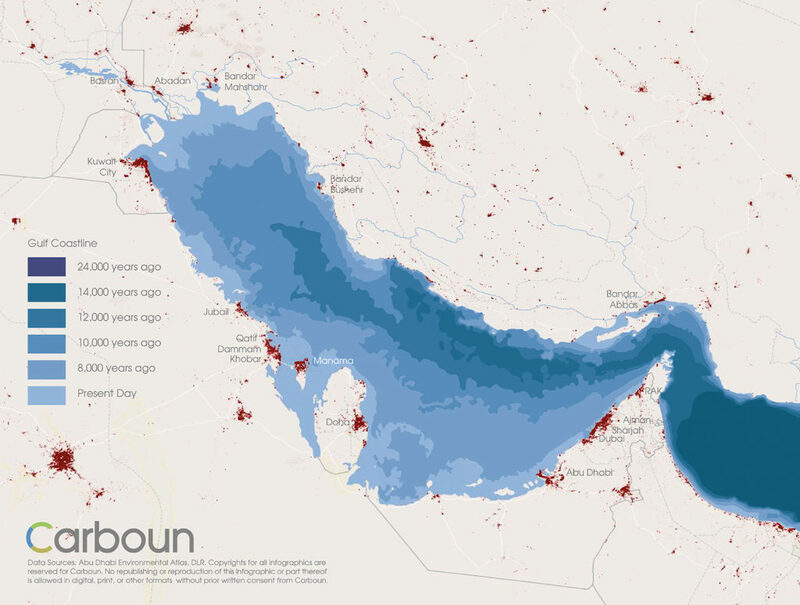 With sea levels rising, seawater (once again) flooded into the Gulf (also known as the Persian Gulf or Arabia Gulf), whose sea floor was exposed for millennia and covered in sand dunes (except for lakes and the Tigris-Euphrates river meandering across it towards the Arabian sea). 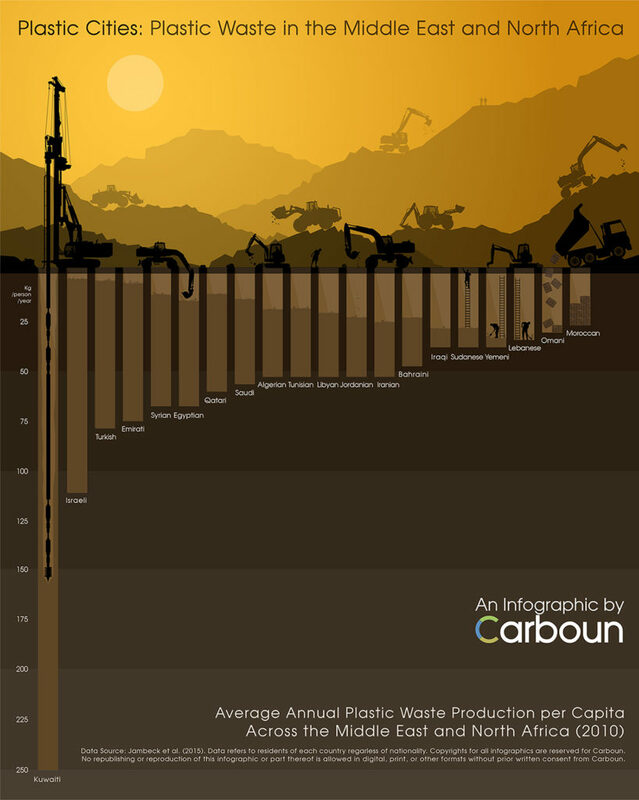 A new infographic by Carboun showing annual plastic waste generation per capita across the Middle East and North Africa Region (measured in Kilograms per person per year), and demonstrating the wide range of plastic waste generated in different regional countries. The highest generator of plastic waste, Kuwait, produces 10 times the waste generated by Morocco. 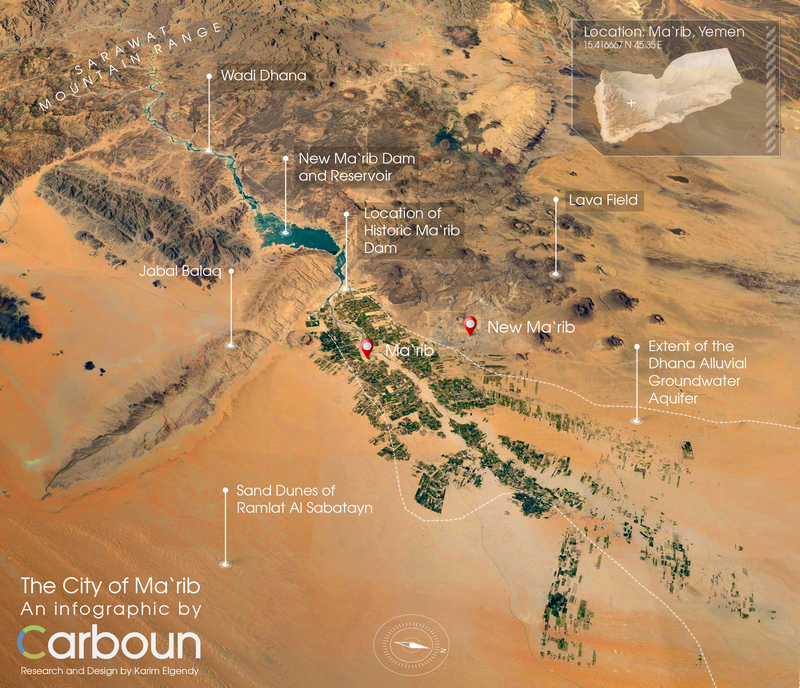 Karim Elgendy, Founder and Coordinator of Carboun, was recently commissioned by Frederich Ebert Foundation (Frederich Ebert Stiftung) to produce a set of visual guides to renewable energy in the Arab World to coincide with the 23rd Conference of Parties (COP23). The infographic below is the third of three visual guides. 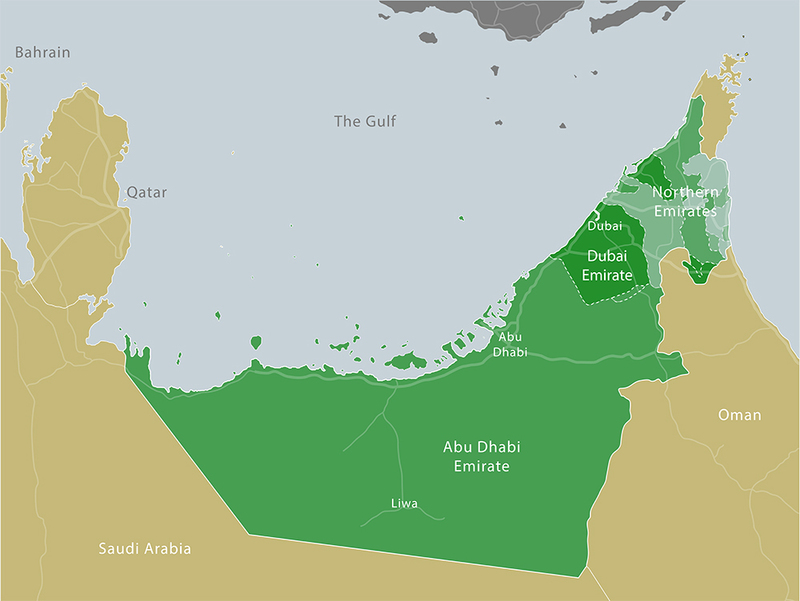 It represents an analysis of the challenges facing renewable energy growth in the Arab World. The three guides, which were researched and designed by Karim Elgendy for the Frederich Ebert Foundation, were based on raw data provided by International Renewable Energy Agency (IRENA), Regional Center for Renewable energy and Energy Efficiency (RCREEE), Lazard, World Energy Council, and Bloomberg. Copyrights for this infographic are reserved for the Frederich Ebert Foundation and the author. No reproduction or republishing of any infographic or part thereof without prior written consent from Frederich Ebert Foundation and the author. Guide 1 covers the state of the region and Guide 2 covers Regional Aspirations. They can also be reached via the infographics page.